Introduction to Biopsychologyis a lively and engaging introduction to brain and behaviour. This edition has been substantially re-written and extended throughout to provide more information and detail on all key areas of the syllabus. 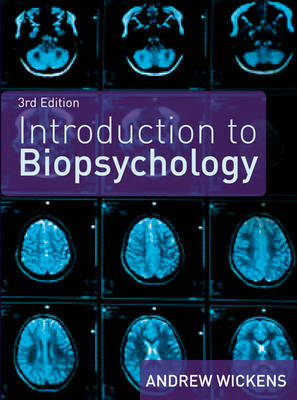 Assuming no background knowledge in biology or psychology this book will help any biopsychology student keep abreast of the latest developments in this dynamic and forward-looking area of psychology. New topic coverage includes a comprehensive look at sensory systems which affect our perception and understanding of the world around us, and a unique insight into degenerative diseases of the brain including Alzheimer’s, Parkinson’s and Huntington’s diseases. This expanded edition leads the reader with ease through exciting and cutting edge research, including recent advances in cognitive neuroscience and genetics, which illustrates how the discipline is moving forward.